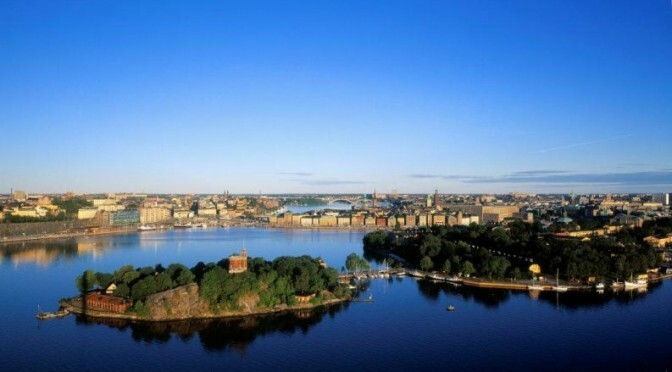 An exciting combination of walking and cycling options awaits you on Stockholm’s beautiful Archipelago. 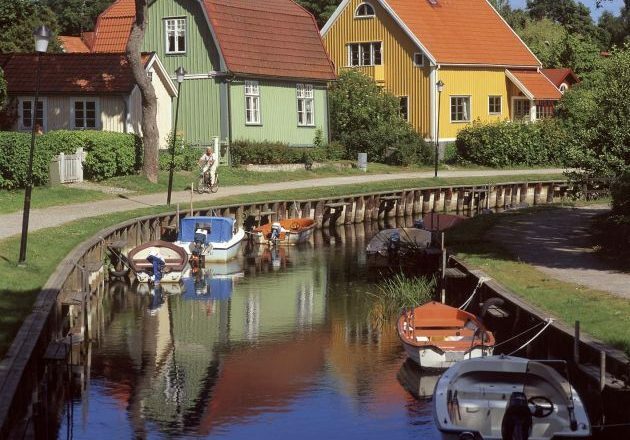 Sörmland county is located only a stone’s throw from Stockholm and offers a wealth of opportunities for the nature lover. Often described as Sweden’s southernmost wilderness, it is renowned for its sprawling forests, countless lakes, tranquil beaches and endless daylight. Stockholm, on the other hand, is a city bustling with life and emotion but its unique location on countless islands allows a distinct feeling of space so rarely found in a city. See departure dates at the bottom of this page. Information pack including detailed trail routes in English + maps. Today you can choose to take an optional self-guided bicycle tour through Stockholm’s unique Ecopark – the world’s first National Park to be located within a bustling city. The Ecopark is 27 kms and is a green oasis combining cultural heritage and natural features. Here you can cycle through ancient forests, visit palaces and bathe from waterside rocks. Animals such as foxes, badgers, marten, mink and deer roam freely and the greatest number of large oak trees in northern Europe are located right here, in the city centre! Your self guided tour takes you through this peaceful city hideaway and includes the Royal island of Djurgården where many of Stockholm’s best museums are located, the royal residence of Rosendal and its delightful gardens and café plus the picturesque canal running through the island. Not to be missed along the way is the Kaknäs Tower with its 30 floor high observation deck offering fantastic views across Stockholm city. Head north and you come to Haga Park and Palace – home to the recently wedded crown princess which lies alongside the beautiful Brunnsviken inlet. Further north and you can reach as far as Ulriksdal’s Palace with its well respected restaurant plus relaxing gardens and delightful views. This morning you are transfered from your accommodation in Stockholm to Tyresö Palace from where you trail begins. Tyresö is an imposing palace dating back to the 17th century boasting impressive waterside English gardens. Take a stroll through the gardens or across to the nearby small islands with wonderful views across the sea and forests before you start your cycle journey along quiet country lanes the short way to Tyresta National Park. Tyresta is a protected area of some 5000 hectares with trees dating back over 400 years, sparkling forest lakes and a wealth of wildlife. Deer roam freely throughout whilst moose wait their turn as dusk falls. Take a break from cycling and instead hike the trails through the endless forests of pine and birch, taking a refreshing dip as you pass by one of the many lakes. Find the perfect spot and enjoy the peace, tranquility and breathtaking nature of Stockholm’s only National Park. After free time in the park, you take to your bikes again and cycle through fields and woods until you reach the idyllic village of Dalarö, your first taste of Stockholm’s wonderful archipelago. Dalarö is an old customs station that developed into a popular resort town in the latter part of the 19th century due to its picturesque location and charming houses. Explore the picturesque narrow streets of colourful wooden houses, swim from the white beaches of Schweizerdalen or pay a visit to the beautiful 15th century church. You then continue by bike on to your overnight accommodation at Smådalarö Gård a few kilometres from Dalarö. This morning, you cycle the short way to Dalarö, where you take the morning boat and head out amongst the thousands of islands that make up the southern part of Stockholm’s archipelago, a seemingly endless archipelago of 24,000 glorious islands lying right on Stockholm’s doorstep.Stretching some 80 km east of Stockholm deep into the Baltic waters, it formed during the last Ice Age and is today considered to be one of the world’s natural wonders. Your first stop takes you to the pretty island of Ornö. Ornö is the largest island in the southern archipelago totaling 14km in length and 6km at its widest part. Ornö has traditionally been less exploited for tourism than some of its neighbouring islands and remains today an island with a living community yet to be discovered by large scale tourism. Today, you have the chance to visit the four corners of the island on two wheels, and enjoy its unique nature , both woodland and open landscape, plus opportunities to swim from the smooth rocks as well as visit historical landmarks en route, such as the wooden church dating from 1885. At the end of a day out in the fresh archipelago air, you enjoy a meal at a respected archipelago restaurant serving quality food using local produce. Sit and admire the sea views as you enjoy a well-deserved dinner. You then take the evening boat from Ornö onwards to the holiday island of Utö. 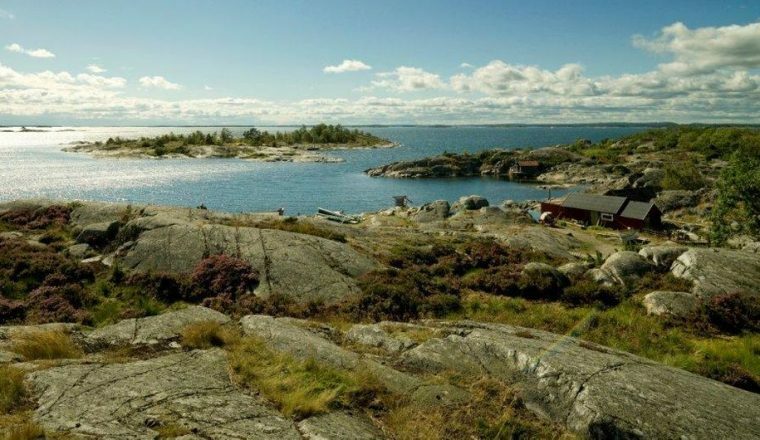 Today you are free on Utö island to enjoy its life and scenery. Take your bikes and cycle the length of the island, cross over a bridge to the small island of Ålö where you will find solitude on a white sand beach plus a charming fish restaurant. You may also opt to island hop to another close lying island called Nåttarö, where you can enjoy one of the archipelago’s best sandy beaches and great views. 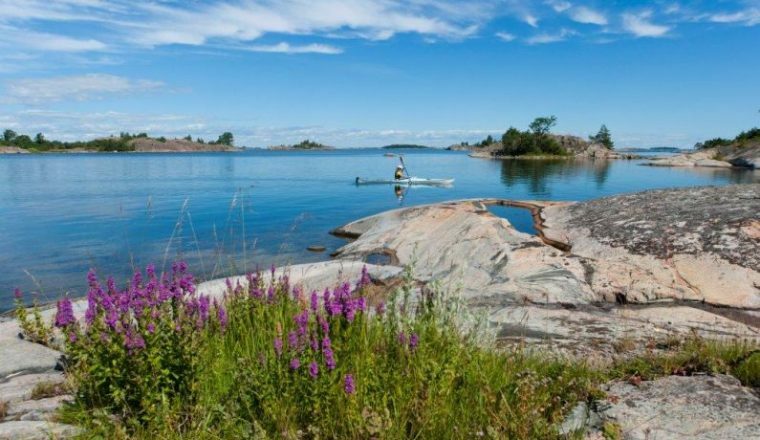 Utö also offers a wealth of other activities from sea kayaking on its calm waters, to hiking along the many trails through forests and open country, stopping to enjoy the smooth waterside rocks, white sandy beaches and breathe the fresh, pure archipelago air. This morning, you have the chance to visit the village where you can head up to the windmill built in 1791 to enjoy one of Utö’s best views. Alternatively, visit the mine museum and learn about the interesting history of this mining community. After a free morning on the island, you catch the boat onwards to your third archipelago island, Fjärdlång. Despite being on the edge of bustling Stockholm, Fjärdlång could not be more remote and the whole island has been deservedly declared a nature reserve. Marked footpaths wind their way through the island’s woodland so you can spend the day hiking around the island. Don’t miss a trip to the island’s highest point, Tysta Klint, where you can admire the spectacular views stretching across the archipelago. You then prepare for your journey back to the buzz of Stockholm city. See day one for details of self-guided cycle trip through the Stockholm Ecopark.